I love finding out about indie games in development, and today, Last Year came across my path. It combines several of my favorite game elements: atmosphere, horror, and strategy. Last Year is being developed for PC as an asymmetrical multiplayer survival horror game that pits five Survivors against one Killer. If the Kickstarter is successful, it aims to launch in fall of 2016. In Last Year you’ll experience the nightmare together as you and 5 friends struggle to survive against one player that’s playing as the Killer. Explore familiar territory based on classic horror movie locations including Camp Silver Lake and East Side High. You’ll play the roles of 5 stereotypical high school characters while co-operating to complete objectives and survive. When playing as the Killer you’ll utilize game-changing Predator mechanics to help you hunt down and eliminate your victims before they have a chance to escape. 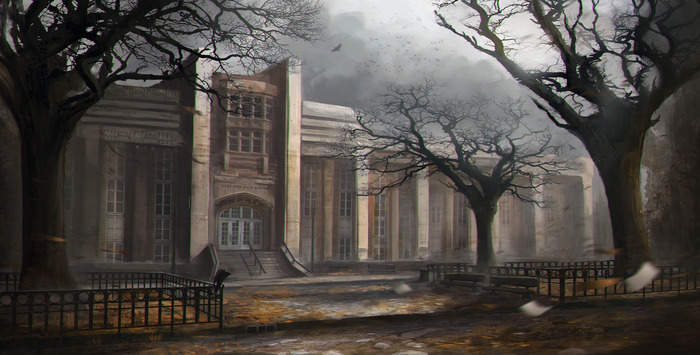 Players will sneak and slash their way through a suspenseful atmosphere that keeps them on the edge of their seat as they compete to be the top Killer or best Survivors. Basically, this would be the first Friday the 13th game since the infamous NES version back in 1989. Which (I don’t think many will challenge me here) wasn’t terribly good. I’m excited at the chance to play a game with iconic locations such as Camp Silver Lake and East Side High. And I’m definitely looking forward to finding out what the additional locations could be. There are so many possibilities, but Haddonfield is the first to come to mind. The more I read about the game, the more intrigued I became. Each of the five Survivor classes has special strengths, and the Killer has something called Predator mode in which he can become invisible and observe the survivors (though he can’t attack while this mode is active). But it’s not a futile fight. The Killer may have the ability to spawn wherever he chooses, however he is slower than the Survivors so he must either lure the Survivors into a particular situation or catch them by surprise. Each of the five Survivor classes (scout, assault, technician, medic, and support) are weak and susceptible to close-quarters combat, however since they all can outrun the Killer, they have a bit of an advantage. And if they all work together, they can be on diligent watch so the Killer has less of a chance to launch into Predator mode (he has to be out of the line of sight to activate it). As the old horror movie cliche goes, you’d be better off sticking together than splitting up. Your survival depends upon it. In-game chat support for the survivors should make the strategizing an easier task. Or one can hope. Until you end up wedged in a closet with a dude wielding a chainsaw. Then strategy probably doesn’t matter as much. The game has a bit of a built-in pedigree, as Wearing has been involved with the production of AAA titles like, Far Cry 3, Assassins Creed II & III, and Crysis, to name a few. As of the time of this writing (12.03.14), the game is a little over halfway to its goal with 15 days remaining. If you are so inclined, head on over to the Kickstarter page to take a gander. This sounds very interesting hopefully the kickstarter is successful. i hope so, too. i contributed! those environments are the seller for me. i want to see those come to fruition. Yay! It would be nice if this came to consoles. it would, however in a recent backer update on the kickstarter, the developer stated that his first priority is to get the game out on PC. it sounds like he isn’t ruling out an eventual console release.